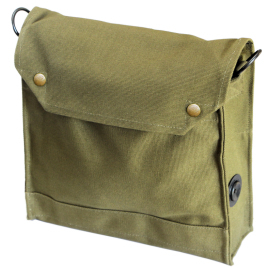 I needed a good "man purse" for work, and I recalled seeing Magnoli's Indy bag. I can say I am not at all disappointed with it. It came in about half the expected shipping time, with shipping updates as it was ut for delivery from Magnoli Clothiers. I, of course, purchased the leather strap for the satchel, and to my surprise, it came already attached. I think that the pictures on the site show how the bag looks very well with one exception: They don't get across how many sections and pockets are in the bag. I can say that I'll be using this bag every day and it will be very useful for my previously-satchelless indy cosplays.